I want to share something very special with you, my friends. I want to tell you about a cracker. Yes, that’s right, a cracker. $6000. That’s what the “direct” flight costs from my hometown. I put “direct” in quotes because there’s nothing direct about it (How many layovers was that again?). And then comes the indirect route, $4000—(Oh, and did we mention they’re rioting in the streets of the city where you’ll be changing planes?) Last is the, well, we’ll just call it what it is – the redneck route. Two, maybe three, separate itineraries that don’t quite meet up, all neatly pieced together with duct tape…Still nearly $4000, and it doesn’t quite work, even if you kick it. I decided I needed to give it a bit of time. It was well past noon, so lunch would most definitely put me in better shape to take on the task. But as soon as I headed out to fix a sandwich, I realized I was in no state of mind to face people. My heart was broken, and no matter how hard I tried I wasn’t going to be able to hold back its weeping. I bowed to thank the Lord for my food, but I found that I couldn’t talk to Him without tears. I wiped my eyes with the napkin that had been under my sandwich and muttered something about needing a plate instead. In a few minutes, the activity around me had quieted. I sat at the table with my tuna fish and my Cheez-its, struggling not to let the situation get the best of me, and failing miserably. Was it me? Had I done something wrong, or missed something that I should have done? This was the second time in two months that I’d had to cancel a trip. That’s close to 250 children I had just let down. I felt like such a failure. I wanted nothing more than to go hide in a park with my Bible, where I could figure things out, but it was about to rain. I also had emails to write, the kind I didn’t want to write. Like the showers that came later, tears were already splashing intermittently down my shirt and onto my plate. I kept wiping them away, hoping no one would notice. I picked up a cracker and was about to eat it when something caught my eye. I looked again. 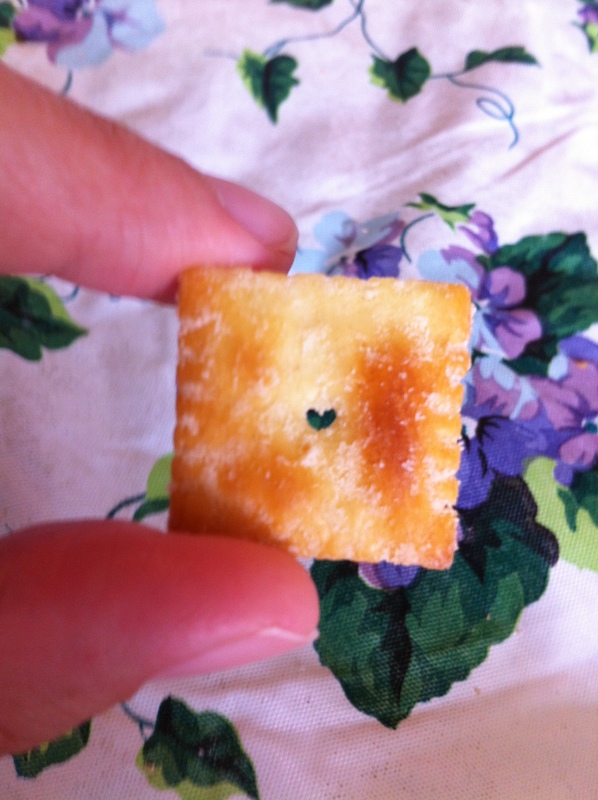 The hole in the center of the cracker was misshapen – in the perfect shape of a heart. I knew it was a gift from my Lord. The tears won. I can think of few moments in my life when I have felt loved as strongly as I felt it in that moment. How undeserving of His love I am, and yet He loves me. I fail, I stumble, I plan trips that fall through, and yet He loves me… He loves you. Don’t miss His love by staring into your failures, I almost did. This is the first post on this site, but it is not the post I had intended to share first. That post was going to touch on the primary topic of the book I recently started writing: The purposes of the wilderness. But this illustrates it so much more beautifully. You see, one of the purposes of the wilderness is that we might come to know our God. And that little patch of wilderness, complete with its dry, ol’ cracker did just that – it reminded me of the depth of His love. If you’ve read my first book then you probably already have an idea of why Wednesday’s events would remind me of this passage. 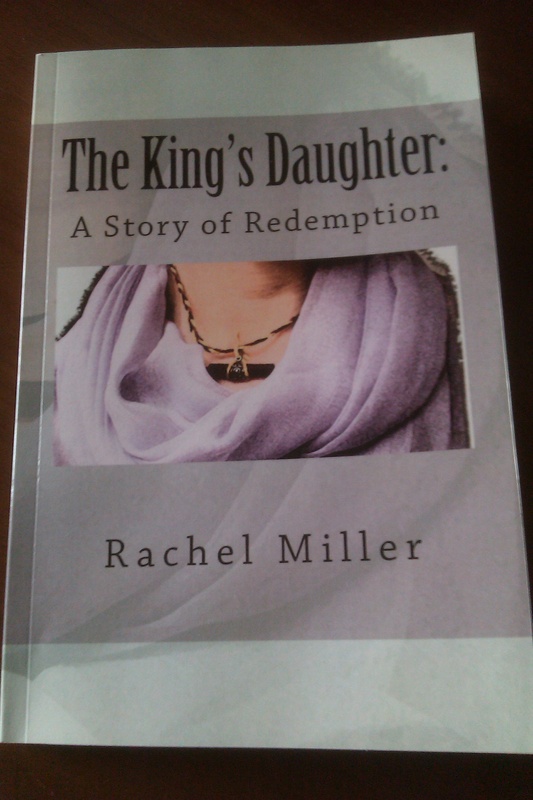 In The King’s Daughter we saw the beauty of myrrh, in Where The Myrrh Grows we’ll see the beauty of the harsh climate in which it flourishes. SOS 3:6 connects the two. I’ve always had a strange mental picture associated with this passage. Way off in the distance, just beyond the heat waves rising from the desert floor, comes a chariot with clouds of dust billowing up behind it. The driver is the Knight in Shining Armor, the Prince Charming to beat all princes charming – It is the King. He comes valiantly, ready to declare His victory and retell of His triumphant exploits. I’ve always seen Him as being on the return from some great conquest, but Wednesday I saw Him coming to the rescue. I had just wandered into the wilderness of deep disappointment, and He, with that beautiful fragrance that marks Him as my King, came to wrap His strong arms about me and to strengthen me…there is no stronger embrace.